Do you own a large property? If you do, you’ll want to get the best zero turn mower there is. With this equipment, you’ll get to cover large open spaces while having the ability to mow even in the tightest spots. You’ll also get to finish mowing in a faster and more efficient way and have more time for other tasks. With a 22 HP Briggs v-twin pro engine and hydro gear EZT transmission, the P46ZX has the power and capacity to help you clear your yard within the shortest possible time. Its high back seat helps you stay comfortable as you mow your lawn, while its 46-inch stamped reinforced deck comes with a 10-year warranty and is designed to last for a long time. The mower’s large 3.5 gallon fuel tank means that you won’t need to refill it every now and then. The 967323903 is built with a V-twin, 23 HP, 724cc endurance engine from Briggs and Stratton and has chrome-plated valves, excellent air filtration system, and an oversized cooling fan. 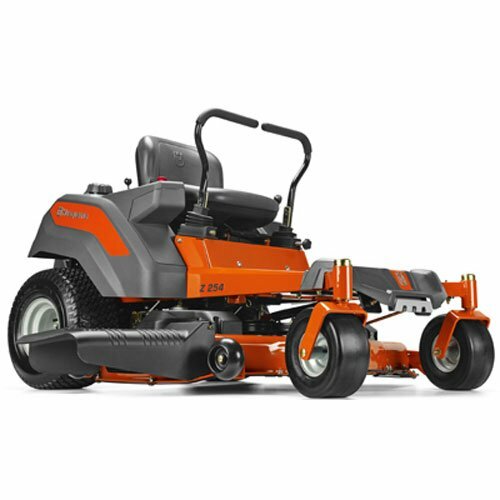 The mower has a 46-inch cutting deck that’s strengthened and reinforced by flat stock steel, along with a spring-assisted deck lift system and an integrated dual hydro-gear EZT transmission. You’ll love the ergonomic control panel, anti-slip foot area, and removable foot pan that gives you easy access to the cutting deck. Do you need something that’s more powerful than the Poulan Pro P46ZX and the Husqvarna 967323903? If you do, you’ll want to look into the Poulan Pro 967331001 P54ZX. 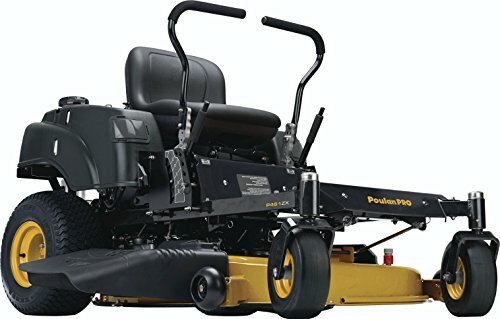 It comes with a 24 HP Briggs v-twin pro engine along with a 54-inch three-bladed steel cutting deck and a dual hydro-gear EZT drive, and it has a six-position cutting height adjustment that ranges from 1.5 inches to 4 inches. The extra-high 15-inch back seat and the foam-padded hand grips on the dual levers help you stay comfortable while you mow your lawn. The Husqvarna 967324101 is another excellent option if you need an extra-powerful zero turn mower. It comes with a Briggs and Stratton 24 HP v-twin endurance engine, which is paired with a durable 54-inch reinforced stamped cutting deck, a dual hydro-gear EZT transmission, and four anti-scalp rollers. It also has an electric clutch that makes blade engagement smoother and easier, along with an ergonomic, intuitively designed control panel that puts all the important settings right at your fingertips. A lawn mower is a huge investment, which is why you need to do your research and find the best possible make and model. Explore the products listed above to choose the best zero turn mower!